It would be an understatement to say that 2017/2018 has been a good season for Tim Price and Jonelle Price! 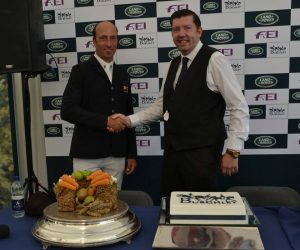 The New Zealand eventing duo, sponsored by Selwood.com have notched up some outstanding results between them. For 4* events alone, they hold three titles. Jonelle secured the top spot at both Badminton and Luhmulen this year. This past weekend has seen her husband Tim take his second win at 4* level, at the Land Rover Burghley Horse Trials. The icing on the cake for Selwood, is that it was aboard Ringwood Sky Boy. This is the horse that Selwood CEO Andrew Beard, has ownership in. 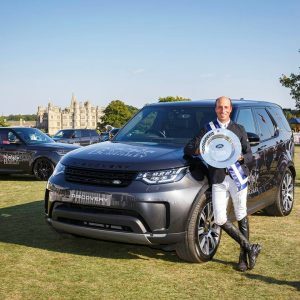 Tim Price has campaigned this amazing event horse for many years now, with it being a case of always the bridesmaid never the bride, but Burghley 2018 was the game changer! With two horses in this years competition, Tim was set to be rather busy! Both Ringwood Sky Boy and Bango sailed through the trot ups looking stunning. This is all thanks to the superb team behind the scenes from Mere Farm. Bango produced a respectable test for 32.1 soaking up the atmosphere and the sunshine in the main arena. Ringwood Sky Boy produced a mature and effortless test to score a superb 26.9. Putting him in second place heading into the cross country. All the riders felt the same about this years Burghley cross country course. It was a big track, the biggest they had seen and a full up 4*. The general consensus was that it walked big and rode bigger!! Bango and Tim were out on course early in the day and put in a great performance to add just 9.2 time faults to their dressage score. At the end of the day this left them in 17th place overnight. A confident Bango piloted by an experienced Tim made for a super combination and it showed to all who watched their round. Ringwood Sky Boy had his shot at the course later in the day and if ever there was a masterclass on cross country riding, Tim certainly gave one. Great lines, consistent rhythm and bold jumping meant they sailed round to go just one second over the time. Cross country day finished with Tim as overnight leader! Both horses trotted up beautifully and were presented to the highest standard. Again, much to be made of Tim and Jonelle’s superb support team on the ground. Bango jumped first and produced a beautiful clear round showing his year off has not made him complacent in any way! A great start to a pressure filled day for Tim. Ringwood Sky Boy was last to go in the main arena. You quite literally could have heard a pin drop. The atmosphere was incredible. Knowing that the show jumping is not always the most successful phase for this horse made things a little more stressful. However, with a fence inhand they could still do it! A foot perfect clear round followed in the beautiful sunshine and the crowd erupted. Clear to take the top spot. 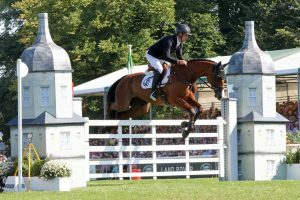 Tim Price and Ringwood Sky Boy – Burghley 2018 winners! And to top it off a very credible tenth place with Bango! Selwood are very proud sponsors! Delighted infact! Selwood.com have supported and sponsored the New Zealand pair since 2012 and have watched them grow and achieve together. It is fantastic to see the results and the team thriving. With WEG coming up we are also excited to see what they can produce for the NZ team. We wish them all the very best! Both Jonelle and Tim Price are the most hard working, committed and focused individuals you could ever have the pleasure to meet. They have spent years working hard together proving that team work really does make the dream work! 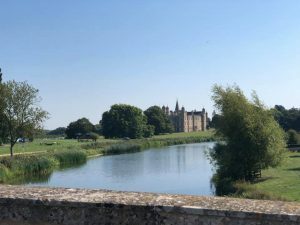 Selwood.com is excited to see what is next in store for the ‘eventing super couple’ as we work with them to achieve even more goals and wins at top level!